December 22, 1954 – The president of the American Furniture Mart, Lawrence H. Whiting, confirms rumors that the Mart has obtained control of 333 North Michigan Avenue, an art deco tower on the southeast corner of Michigan Avenue and Wacker Drive. Whiting says, “The American Furniture Mart accumulated this interest as a long term real estate investment in what we consider to be an exceptionally sound real estate enterprise.” [Chicago Daily Tribune, December 23, 1954] Arthur M. Wirtz, the chairman of the American Furniture Mart, is also the president of the 333 Building Corporation. 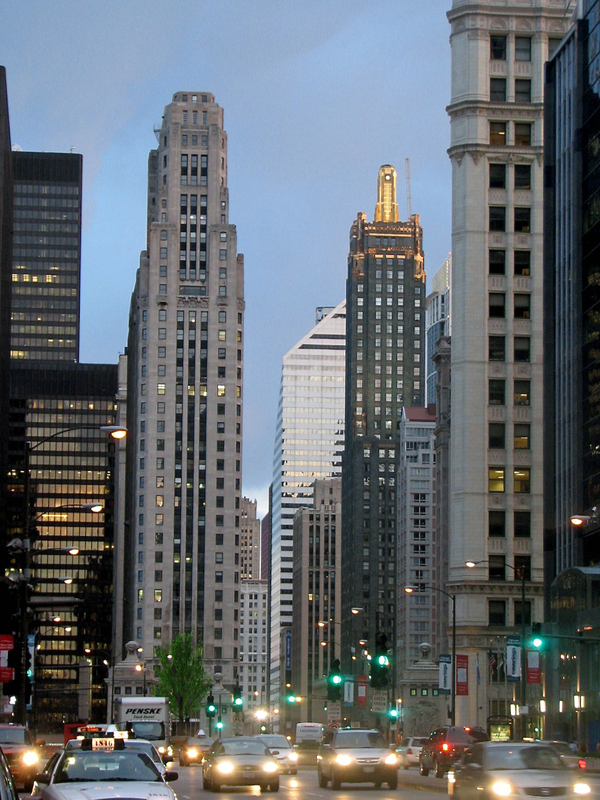 333 North Michigan Avenue was completed in 1927 according to a design of the firm of Holabird and Root. The Art Deco design of its 25 stories is particularly striking because of the building’s location just south of the DuSable Bridge, directly across the river from Tribune Tower.